I have watched many wildlife films in my day, especially after deciding to study wildlife TV for my master’s thesis, but one that I just watched stands out from all the rest: Wildlife and the Wall featuring Ben Masters. Wildlife and the Wall highlights the detrimental impacts that Trump’s border wall would have on the ecosystems of the U.S. – Mexico border. 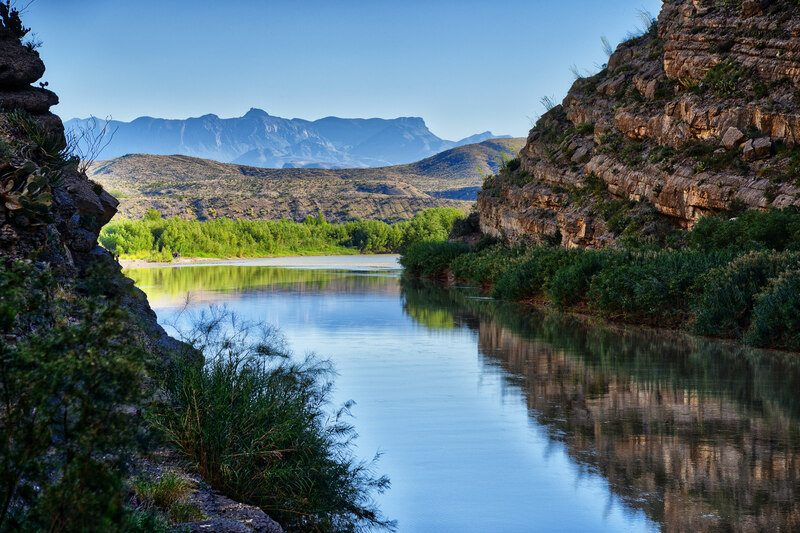 Focusing specifically on Texas and the mighty Rio Grande river, Masters uses incredible cinematography, expert narration, and clever editing to make his case. As far as the cinematography goes, the shots in Wildlife and the Wall are crisp and beautiful. Images of charismatic animals like mountain lions (Puma concolor), black bears, and bighorn sheep showcase a few of the creatures that would be harmed by the wall. Likewise, stunning landscape shots demonstrate just how alive and wondrous the borderlands can be. In regards to the film’s editing, Masters overlays the beginning and end of Wildlife and the Wall with clips from Trump’s rallies. As the crowd chants, “Build that wall!” and Trump encourages them by clarifying that it will be, “A real wall,” one cannot help but be struck by the lunacy of this whole situation. The rallies seem more like frenzied cult gatherings than they do valid political meetings, with The Wall being their central object of worship. To cave in to Trump and fund the wall would be to cave in to madness, and to embrace the sort of fear-driven hysteria that leads nations to destroy themselves. Here is Wildlife and the Wall by Ben Masters. Be sure to check out the Facebook page for The River and the Wall for more information. Very beautiful video! Wonderful message and what stunning cinematography! Sometimes silence (from me) does not mean that I am not reading (and enjoying) your posts.. just offline most of the time, and I load your posts when there’s a chance – then read them at home. So.. happy new year, good luck with your choices – sometimes it’s difficult to know what path to take at any given time, but whatever burns strongest in your soul is the right choice… Garry Rogers/Arizona has written some good posts about the wall and wildlife.. I’m glad to see this, and I hope the video will play when I reach home! It’s ‘loaded’ and hopefully will play. Thanks for caring about our planet! Wow, thank you for this thoughtful and encouraging comment. I hope you were able to watch “Wildlife and the Wall” when you got home, and thanks for the recommendation about Gary Rogers’ posts! Thanks for reading y posts as well, regardless of whether or not you’re able to comment. I’m glad you liked the video, and I hope you have a wonderful weekend as well! Stunning video, and thought-provoking & worrying. Thank you for sharing Josh. Yes, the best videos – like this one – make people feel awe-struck and uncomfortable at the same time. I’d love to see more wildlife films that discuss serious conservation challenges more frankly. I didn’t even think about the impact on wildlife. The idea of the wall is madness on so many levels. Thanks for sharing. The idea of the wall is a madness born of unfettered racial hatred: the video in which high school students surround a Native American elder and chant “Build the wall!” at him is proof enough of that. I haven’t seen the video. Don’t want to see it. Witnessing such is soul-draining. I’m weary enough. I couldn’t watch the whole video: it’s appalling. And of course now everyone’s defending the MAGA teens and saying it wasn’t their fault…how typical. There’s so much in our everyday lives that impacts wildlife that we don’t think about. It’s good to be thinking about this particular absurdity, and hopefully this gets people thinking about more than the effects of the wall! Building that wall would be pure insanity and the only thing it will bring about is destruction. Watched the video and honestly I have no words. Yes, Naila, the wall would be nothing but a destructive and expensive monument to America’s hate. It says something about the soul of this country that the wall is even being considered. It is quite appalling to see that there’s people who are actually proud to hate on others just because they can. My word why and when did things get so tragic. Hate cannot be the new order of the day. Yeah I hope so to. Unfortunately, for wildlife and for a sustainable ecosystem, there are many walls built btw countries, with no consideration for other species! Hope there wont be a wall btw U.S. and Mexico! So while many countries have border walls, and that’s rarely good for wildlife, the U.S.-Mexico wall would be uniquely stupid and wasteful. thank you so much for sharing! It’s insane how many human actions take place with no thought to how it effects wildlife or nature. We definitely need more education on that topic! Thanks for your comment! Education will help, but in this case it won’t be enough. Support for the wall isn’t just rooted in ignorance of the project’s impacts, but in the efforts of a certain identity group to assert their dominance over the others. It’s a way to say, “This is OUR country, we don’t want you here, and we want you to know it.” That’s why in this case, we have to go beyond ecological education and combat the paranoia and hate that are the true building blocks of the wall. I completely agree with your thoughts! Do you think that educating people who have been fed false information about these people they want out of “their” country would help? Understanding that no matter the origins of a person you can have so much in common and be compassionate toward them? It could be a generational teaching but I think a lot of the support for this stupid wall comes from those with completely false information or just lacking knowledge of other cultures/people. Yes, compassionate education will be much more effective than screaming at people on Twitter. I think part of the problem is also that many people, especially those who haven’t been fortunate enough to enjoy a good education, have a hard time distinguishing between good and bad sources; just because you like what someone is saying, it doesn’t mean you should believe them. Part of that fix has got to come from improving the American educational system, so that ALL Americans can afford a quality education. Like you said though, that’s going to be a generational thing – this won’t be a quick solution. Fortunately, inter-cultural education doesn’t have to come from school. In fact, I’d say that just putting oneself in positions where they can interact with people from different cultures would be more effective than any sort of book-learning. While travel would help with that, the US is diverse enough that many of us shouldn’t have to go very far to learn about different cultures. Perhaps people could use tools like Meetup to locate clubs or groups of friends that would help them grow? Yea that’s a great point, I’ve never heard of Meetup but I think any tool to locate a welcoming club where you can meet a diverse group of people is so beneficial. I’m not sure, when it comes to kids though, how to drive that stimulation? Mostly because there are so many kids who can be restricted to who they hang out with by their parents. How do you get those close-minded parents to at least let their kids be free to make the friends they want and interact with peers of their choice without holding them back? Living out here in Wyoming it’s crazy how people can be so kind and warm on almost any subject, but once you change the topic to something they don’t agree on there’s no budging them. They won’t hate you for your thoughts (as long as they liked you before they knew you had said thoughts) but they won’t even begin to entertain the idea of changing their minds. That’s the sort of stubborn nature that’s going to be the hardest to change, but probably the most important population that will need to change to make us all better. I’ve never been to Wyoming, but it seems to me that people are stubborn about certain viewpoints all over the place. Maybe it’s worse in certain locations than others, though? That question would involve lots of research to answer! I’m afraid the close-minded parents question is one to which I have no answers! That’s a hard one.